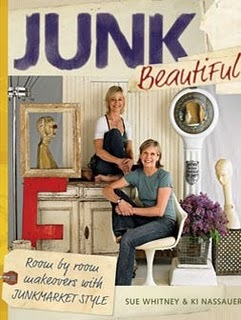 Ki, and some of her advice, will ALSO appear in the upcoming new (and hugely expended) edition of my book "Humble Homes, Simple Shacks..."
Ki Nassauer seems to be one busy gal when it comes to her love of flea markets, and finding treasures among trash- which she’s damn good at! I had the chance to chat with her recently (for inclusion in my next tiny house/home design book), and here’s what she had to say in terms of a trade I’m so fondly immersed in…. 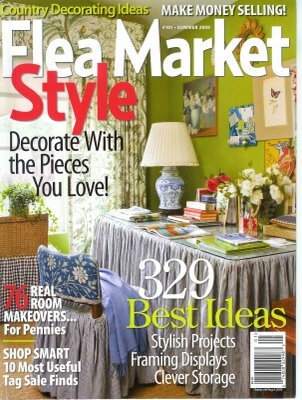 Oh yeah, she’s also the editor of “Flea Market Style” magazine- a new issue of which, is due on shelves soon- EVERYWHERE. In addition to city curbs before trash day, old barns and salvage yards, Nassauer suggests culling flea markets and re-use centers for bargain hunting. 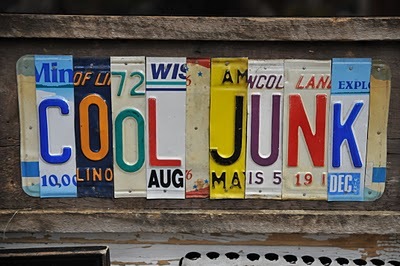 Another great source: Nassauer’s own annual “Junk Bonanza, which displays the wares of more than 100 juried junk vendors each September in Shakopee, Minn. IF ANY OF YOU HAVE ADDITIONAL TIPS, PLEASE LET US KNOW- WE’D LOVE TO HEAR ‘EM!